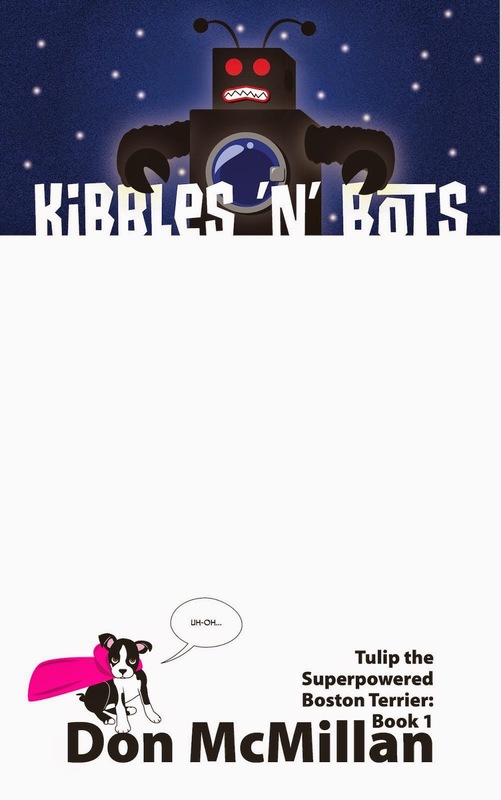 You wanna read, cool sci-fi stuff how’s that sound? Lazarus #12 - Written by Greg Rucka, illustrated by Michael Lark with Tyler Boss, colored by Santi Arcas, lettered by Jodi Wynne, published by Image Comics. With only one book in my pull this week, I was kind of hoping for Lazarus to give me some sort of crazy revelation, or a massive betrayal within families, or maybe a ruthless battle of some magnitude to get my heart pumping and my head filled with worrisome concerns about the state of the real world. But that is not the case this month. That’s fine. Yes, this issue slows the pace from the last, and we are afforded some time to catch our breathe, but rest assured, denizens, it ain’t going to last…and the waiting is a different kind of tension all together. After mounting an unsuccessful coup against his own family, Jonah Carlyle has finally surfaced, but he is being held for ransom by The Family Hock, enemies of the Family Carlyle. To hear the demands, the sixteen families have gathered at Triton One, a luxury resort that is considered neutral territory. Formality is everything, as the opening ball begins and the heads of the families form alliances and plot. Meanwhile, the Lazari have some free time. Like I mentioned above: no pulse-pounding action, no terrifyingly realistic situations, no one being shish kabobbed by a Lazarus, and no down-to-the-wire decisions. Yet, even without those things, this issue is a triumph. Be warned, however, if you have not been reading Lazarus (shame on you, btw), then this is not where you can safely jump in. You need to start at the beginning so you can see Forever Carlyle as she moves through this world. Rucka and Lark have given this amazing character two distinct personalities: the all-business, I-will-annihilate-all-who-oppose-my-family Forever; and the relaxed, innocent, at times child-like Forever, who smiles and enjoys spending time with some of her fellow Lazari. The same can be said of Sonja, Joacquim, and new character Xolani. 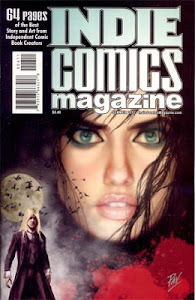 Last issue we were introduced to Sonja as an emotionless, cold-blooded killing machine ready to take on all of the family Carlyle; she was dang scary. Now, we see her other personality in the training room scene with Forever and Xolani. She is cheerful, polite to a fault, but once Xolani joins them, she is blushing, awkward, shy, and unsure of how to deal with the flirtatious Lazarus of her family’s mortal enemies. Rucka’s dialogue reinforces this shared fondness between these three, but it is Lark’s talent at depicting the drama of the scene through subtle body language shifts, the tilt of the head, a smile, the expressiveness in the characters eyes that make this scene so amazing. It’s the same skill he used last issue with Sonja, only in that instance the character acting was brilliantly used to depict the menace that Sonja posed; it is both shocking and refreshing to see Sonja show her vulnerable side, her true side. I also love that the Lazari acknowledge that their family members fear them, which leads me to wonder what will happen if they ever break their conditioning and begin working together. Hmmm...a Lazarus workforce unionized? The training room sequence is only five pages long, but I also enjoyed the ballroom dance scene, both of which showcase Lark’s choreography skills. The rest of the book consists of the family leaders figuring out how to playout this meeting and the final scene with the aging Doctor Hock left me curious as to what was going on with him and his newfound mobility. This issue might not be the most action-packed issue to date, but the lead into what is coming next on this awesome series makes me excited, anxious, hesitant even to see what happens next. As I mentioned above, you can’t just jump into this series, but you are in luck. You can easily pick up the first two trades (issues 1–10) and then issues 11 and 12, to be fully caught up on yet another one of Image Comics’s powerhouse titles. The next issue cannot come fast enough. HIGHLY RECOMMENDED! 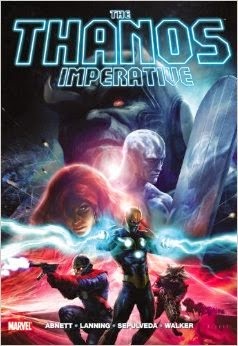 The Thanos Imperative TPB - Written by Dan Abnett and Andy Lanning, illustrated by Brad Walker and Miguel Sepulveda, inked by Andrew Hennesey, colored by Wil Quintana and Jay David Ramos and Rain Beredo, published by Marvel Comics. All righty then…we all know I’ve been on a Marvel cosmic kick for the past month or so, and how could any sane cosmic comic book lover who just watched The Guardians of the Galaxy movie not be clamoring for more of that stuff? Check out my recent looks at Avengers Versus Thanos (must own, must read on an annual basis) and Infinity (great story that proves good event books can happen!). Drax the Destroyer finally fulfilled his role back in the Annihilation series by killing Thanos, but you just can’t keep a mad Titan down. Thanos is back and is nearly a mindless death machine, and the Guardians of the Galaxy want to know why. Joined by Nova and Quasar, who are hunting down Adam Magus (the twisted, evil persona of their former comrade Adam Warlock…yay, Adam Warlock) and a mysterious dark version of Quasar…things do not go well. Magus and Dark Quasar open a portal to another dimension, one of eternal life known as the Cancerverse, and the reason for the dreaded Thanos’s return becomes clear: only an emissary of Death can kill those who cannot be killed. The art is heavy on the shadows and dark color tones, but when you are fighting things from a realm known as the ”Cancerverse,” you kinda have to lean toward the darker side of things with the visuals. It is thrilling to see this other world’s perverted versions of our heroes and how they are a mixture of the classic look and something out of an H.P. Lovecraft novel. The name Revengers is almost silly, but just go with it and you’ll be fine; just be glad they didn’t call them the Cthulvengers or somethin’. I also have to give props the Galactus Engine, which so weird it’s awesome. The only negative (aside from Warlock/Magus going out like a punk) is the final issue, the lead-in to The Annihilators, lost me a little bit as being a bit too dream-teamy and felt forced, but it was still entertaining. At this rate I might have to ignore the Leaning Tower of Unread Comics and jump the dang-fine Infinity Gauntlet to the front of the line — and probably everything else that followed, too…even the yucky Infinity Crusade. 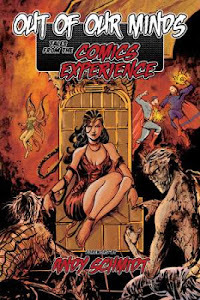 As for this book, I like it a little more now than I did the first time through, and at roughly $16.00 for the eight issues contained within —the retail was originally $35 and dropped to $20 recently — you simply cannot go wrong with this cosmically mad storyline. HIGHLY RECOMMENDED! 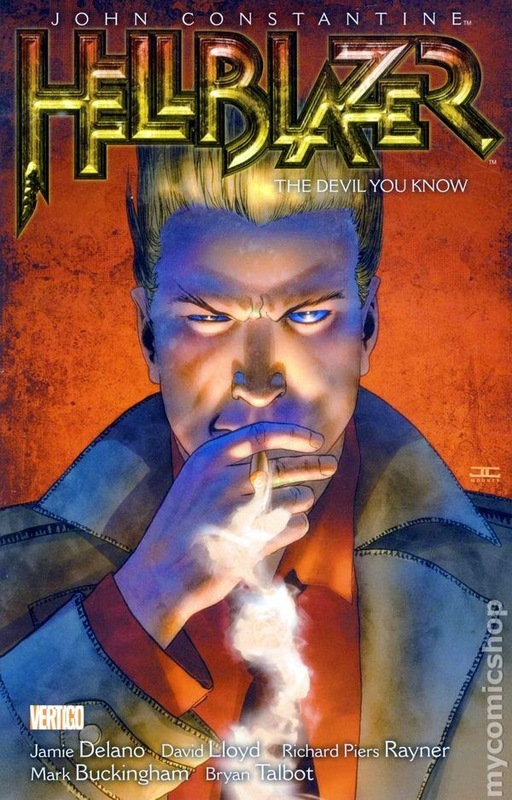 Hellblazer TPB Volumes 2 and 3 - Written by Jamie Delano; illustrated by David Lloyd, Richard Piers Rayner, Mark Buckingham, Bryan Talbot, Mike Hoffman, Alfredo Alcala, and Dean Motter; colored by Lovern Kindzierski and Dean Motter; lettered by Elitta Fell, Todd Klein, and Dean Motter; published by Vertigo Comics, an imprint of DC Comics. That there is a mighty impressive list of the talent involved on these two trades, but what do you expect when you are covering fourteen issues, an annual, and two prestige-format issues across two trades? I picked up the first three trades out of my remembered fondness for the beginning of the series and for something to hammer through during summer vacation. Nowhere in my mind did it register that the Constantine television show would be premiering in October on…well what do you know…Constantine airs tonight at 10 PM on NBC. Constantine learns the true name of the demon tormenting him, as he revisits the horrors of the “Newcastle” incident that haunts his past. A ghostly woman with the ability to share the world’s horrors roams the countryside wrecking havoc. John joins a pagan group that happens to have psychic abilities of interest to a morally-bankrupt corporation. With but three sentences to cover such thick books, I am definitely leaving much out, and if you are a fan of the character, or of the Alan Moore Swamp Thing (which is one of my all-time favorite comic series), or of slow-burn horror stories, then this is the book for you. You will need to start with the first volume though. The art on these volumes, primarily from Buckingham and Rayner is fantastic and something I recall fondly from when I was a wee Donist picking up the individual issues back in the ’80s. The Talbot art on the annual is freaking amazing and joins well with the weird story, which I totally loved. The colors on the regular series are predominantly flat, which is consistent with the style of the time, but this title works fine without over-rendering and is brought to life through Kindzierski’s color palette. Finally, of note is Lloyd’s gorgeous, painted art on “The Horrorist,” which showcases the artist’s mastery of storytelling, and helps elevate the lengthy, but decent story; it’s beautiful to behold. Vertigo/DC really outdid themselves with these massive collections, of which nine have released thus far. The paper stock is the same as what was used on the original issues, and each book is priced at a retail price of $19.99, but you can get them for much cheaper at MyComicShop.com or if you act fast, you can hit up Comixology for the first eight volumes at the ridonkulously low price of $5.99 each through 10/28/2014! I picked up the digital volumes 4–6, which includes the beginning of the Garth Ennis run that I have never read…I can’t wait. 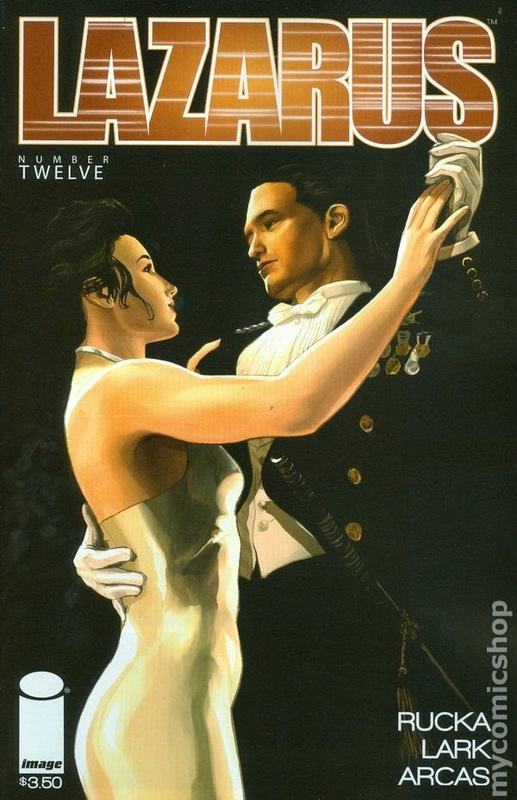 As for volumes 2 and 3, they were a mixed bag of stories that ranged from good to great. I loved the first half of volume two, especially the “Newcastle” issue and the stuff with Nergal, but The Horrorist chapters didn’t really do it for me, and the third volume dragged a little, but on a whole these collections come RECOMMENDED with the first half of volume 2 being HIGHLY RECOMMENDED! Slow New Comics Week - One comic in my pull is disappointing, especially when I know I’m going to get bombarded in the next week or two.